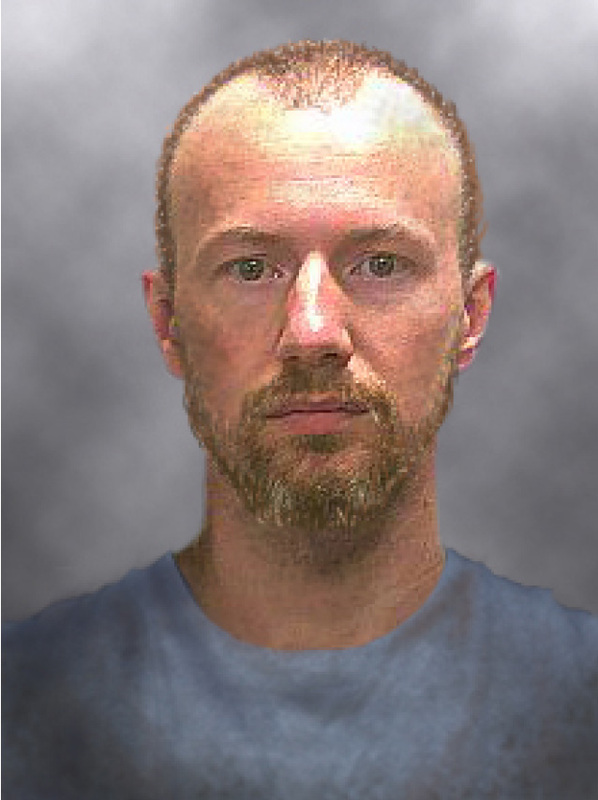 After a three-week manhunt that ended with Richard Matt being shot and killed by police on Friday, The New York Times is reporting that the other escapee, David Sweat, is now in police custody, as well. Sweat, 35, was shot by a state trooper, the Times reported, and his condition is unknown. He was captured near the town of Constable, New York, which is not far from the Canadian border. According to the Times, Sweat was spotted walking down a road by a New York State Police sergeant, who ordered him to stop. But Sweat apparently started running and the sergeant fired his gun. According to The Buffalo News, Sweat was shot twice in the back and was bleeding badly. Law enforcement officials told NPR Sweat was being treated at Alice Hyde Medical Center in Malone, New York. Matt, 49, was killed by police near Lake Titus in upstate New York, about 35 miles from the Clinton Correctional Facility in Dannemora, where he and Sweat made their daring escape on June 6. According to The Buffalo News, Matt was drunk and not in good health when law enforcement officials discovered him; investigators said he had likely consumed contaminated food or water while hiding in the woods. More than 1,200 law enforcement officers had been tracking the pair since they escaped from the prison. CNN posted a photo on Twitter which they said showed Sweat moments after his capture. Matt and Sweat, both convicted murderers, broke out of the 150-year-old prison using power tools, and, law enforcement say, with help from the inside. Prison employee Joyce Mitchell was charged with giving a hacksaw blade and other tools to Sweat and Matt. She pleaded not guilty to the charges, which could mean up to seven years in prison if she is convicted. And 27-year prison employee Gene Palmer was charged with providing tools to the two prisoners which were hidden in frozen meat. Palmer's lawyer said he did not know the tools were hidden in the meat, and Palmer pleaded not guilty to all charges against him. According to The Associated Press, Sweat was serving a life sentence without the possibility of parole in the 2002 killing of a sheriff's deputy in Broome County, New York. Matt was serving 25 years to life for the 1997 killing and hacksaw dismemberment of his former boss, Fox News reported. Sheriff David Favro told the New York Times on Sunday that the lengthy search had taken its toll on residents in upstate New York and on law enforcement officials, but that there was great relief that the two men were no longer at large. On Sweat's capture, Favro said, "I’ll be curious now if he survives to see what he’s going to say, if anything." New York Gov. Andrew Cuomo was expected to join other officials at a press conference Sunday evening with an update on the case, NPR reported.